It has been awhile since I have composed a Rail Blog and after much debate internally on whether I should keep it as a part of the website or take it down. I have chosen to keep it going for the foreseeable future. 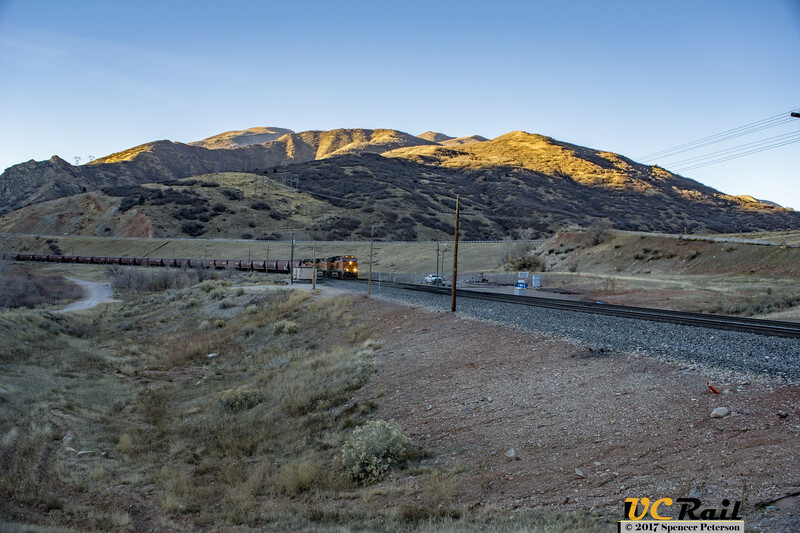 In the last week BNSF has routed at least 6 empty grain trains through Utah and on to Denver and places east. The trains were crewed by UP from California to Roper yard in Salt Lake City, UT. One odd thing about these trains was the routing over the Lakeside subdivision and then down the Salt Lake Subdivision to get to Roper. 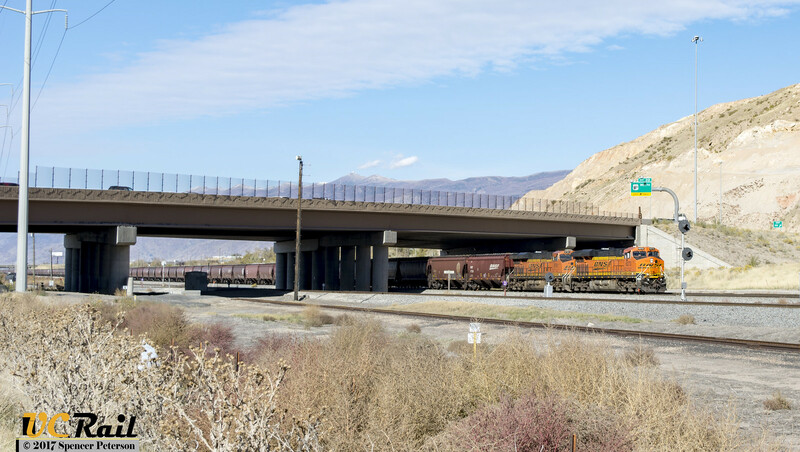 Most BNSF trains that utilize the trackage rights through Utah take the Shafter sub instead of the Lakeside sub. 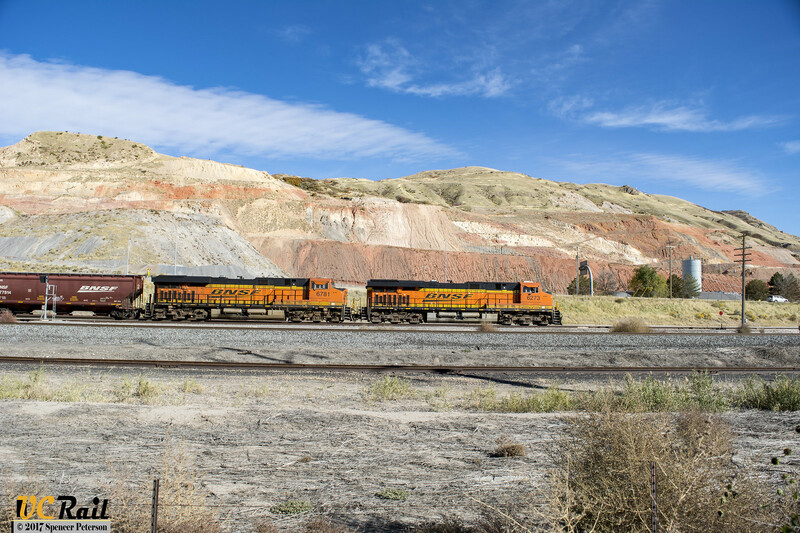 While I wasn’t able to catch all of these trains as they passed through Utah I was able to catch three of them. 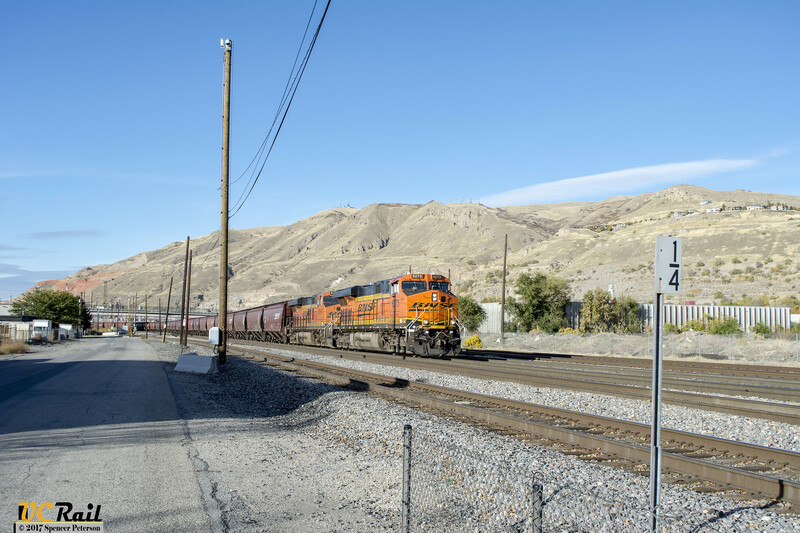 After getting off work on the 21st of October I was able to head to Salt Lake City and catch the first empty grain train running under the BNSF symbol of X LVWCRI9-18. I managed to catch it as it passed under I-15 and the old Rio Grande control point of Becks. I also caught that train as it passed through CP C784 in Salt Lake. The next empty grain train that I caught was on the 26th and it’s BNSF symbol was the X LVWSIO9-21H. I was able to catch it as it passed through Springville, UT. The last empty grain train that I caught in the last week was on the 28th and sadly I have no idea what it’s symbol was. I caught it as it was getting ready to depart Provo, UT and then again at Diamond Fork, UT. I also got video of it as it passed through Diamond Fork and I have included it in this post. 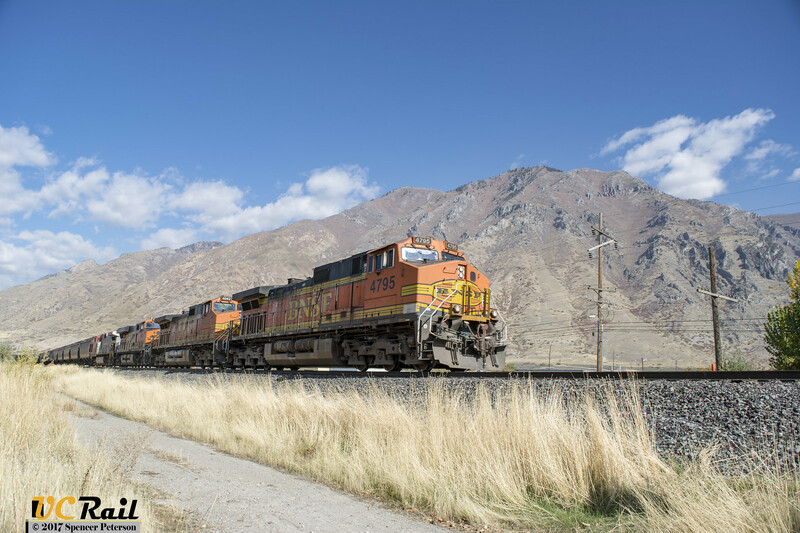 For those keeping track at home the BNSF trains that pass-through Utah are crewed by Union Pacific crews anytime they run between Roper yard and California. 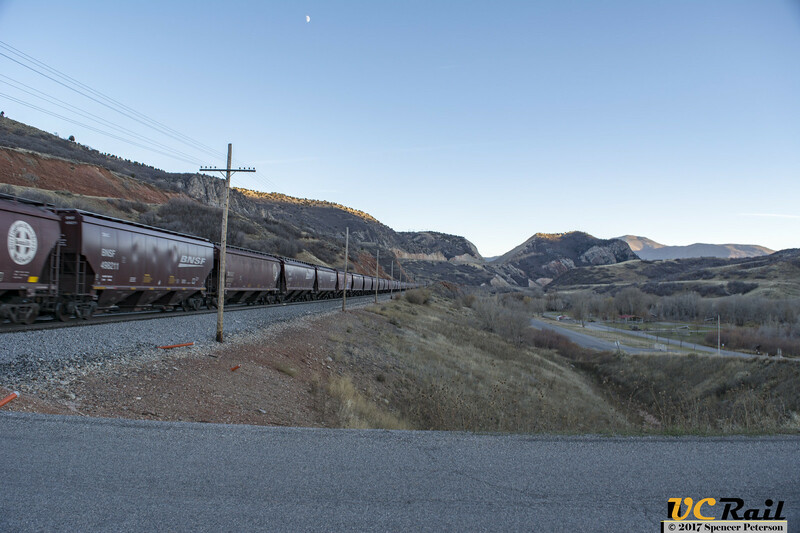 Between Roper and Provo, the trains are ran by Utah Railway crews. And finally, anything between Provo and Denver, CO is crewed by BNSF. 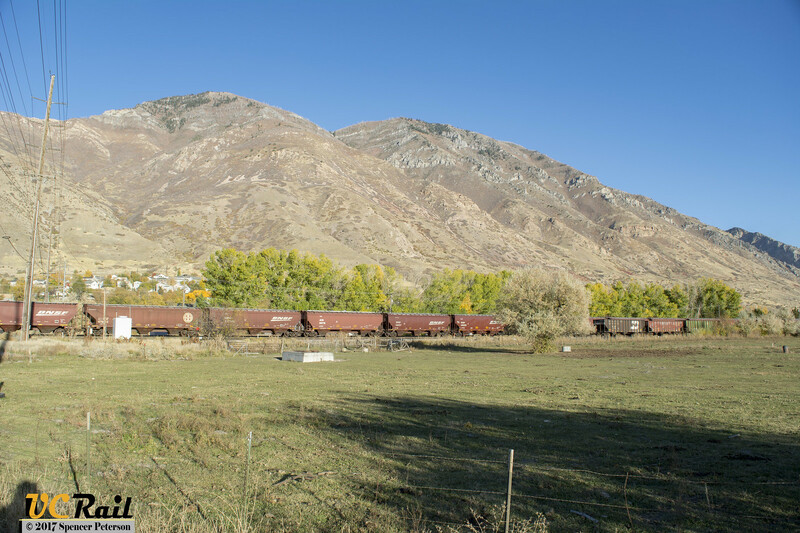 When the Utah Railway brought the empty grain trains to Provo they had to split them in half to fit the entire train in the yard. Once the train was in the yard the carman would perform a 1000-mile inspection of the train before turning it over to the BNSF crew to take it east.